If you are going for an interview of a game-developer or tester, dress shirt, suit coat and tie are pretty out of the place, though it may be conventionally a perfect dress for any other interview. But gaming or tech industry is slightly different. For a gaming interview, this type of dressing can be considered overdressing. 2. So, What Should One Wear? Well, the first rule to follow is your clothes should not be worn out and your shoes should be clean. Be keen about your personal hygiene too. For example, you should take a shower, trim your nails, get a haircut etc. You can wear t-shirts, dresses, decent-looking jeans (but no shorts). 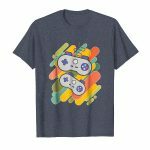 For example, take a look at this Retro Game t Shirt that will appeal to any man, kid or woman who loves retro video games, retro gamepads, 80s, and 90s. 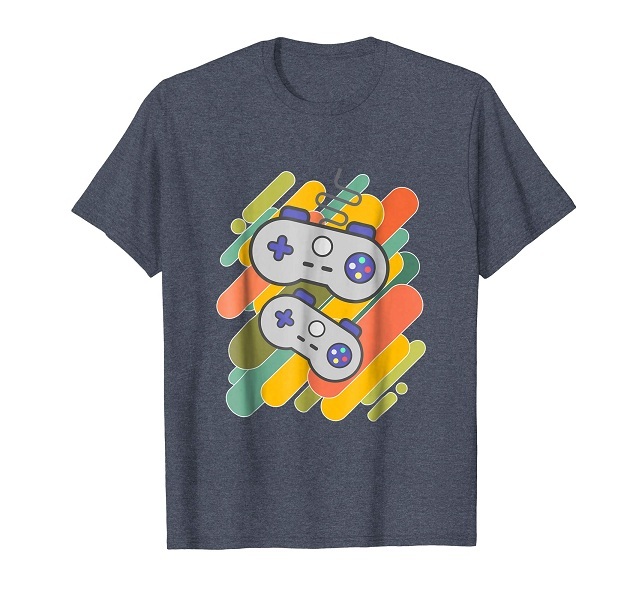 You can wear this type of Vintage Distressed Retro Video Game Shirt every day or when playing video games with friends or family and of course for a gaming job interview. This t-shirt is a great way to express yourself and connect with the interviewers. Regarding wearing fragrances, remember to use a soap or wear a deodorant (if you have to) that may smell like a spring breeze; but you should avoid a perfume or cologne. One or more of the interviewers may be allergic to perfumes or colognes. What you want ultimately is that the interviewers should have a good first impression about you. Your clothing can play a major role in creating the first impression about you. From your clothing, they’ll instinctively make certain assumptions about you like whether you are smart and talented, have got an ability to think out of the box, are a perfectionist and are committed to whatever you do. So, dress according to these factors that will create a great first impression about you. What you wear is an indication of what you are. So, by wearing appropriate clothes you can show that you are a true gamer. Choose appropriate clothes and look like a true gamer to get a job in your favorite field!